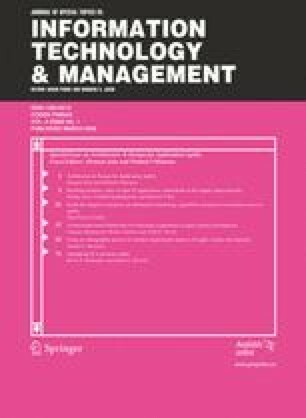 This research develops a framework for organizational value creation from agile IT applications. Based on the four themes in the business value research—business process perspective, complementarities, application level of analysis, and extent of use—three antecedents (organizational fit, process assimilation, and network adoption) are identified as pre-requisites for realizing the value of agile supply chain applications. Advanced planning and scheduling (APS) systems are used as examples, and two case studies for their implementation in the electronics and consumer goods industry are reported to support the propositions. The theories of diffusion of innovation, complementarities, network externalities, and technology structuration are applied to develop the propositions for fit, assimilation, and network effects. Information sharing and industry clockspeed are identified as the moderating factors in the proposed model. The framework has both managerial and research relevance. The research guides managers regarding ways to more fully realize the value of agile applications and forms a basis for future research on the business value of IT applications. The authors acknowledge the feedback and comments from Mike Gallivan, Paul A. Pavlou, Bala Ramesh and other participants at the IFIP WG 8.2. Conference on ‘Business Agility and IT Diffusion’ Aug 8–11 2004 Atlanta.